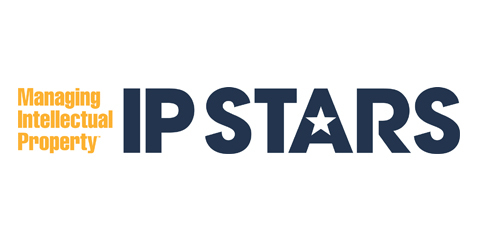 Our Trade Mark group have been awarded top tier ranking of the 2019 Managing Intellectual Property’s (MIP) IP stars. Who’s Who Legal Patents Guide 2019, Boult Wade Tennant’s patent attorneys among world leading practitioners. The firm’s patent attorneys have been named as world leading practitioners in the Who’s Who Legal Patents guide 2019. 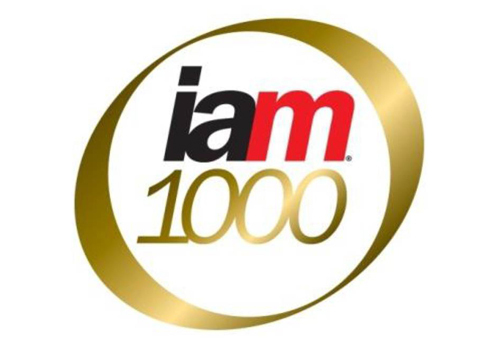 Boult Wade Tennant has been listed as ‘Highly recommended in IAM 1000 the World’s leading patent professionals 2018, a number of partners have also been listed. Boult Wade Tennant have once again been ranked top tier for Patent Prosecution by Managing Intellectual Property (MIP) in the annual IP Stars handbook. Our trade mark practice has once again been ranked ‘highly recommended’ in the UK Trade Mark Attorneys category. Our patent teams have been commended for “a high degree of competence in patent drafting and prosecution” and the trade mark team described as having, “a winning combination of knowledge and commercial nous, and is an absolute pleasure to work with”. Boult Wade Tennant has been listed as ‘highly recommended’ in IAM Patent 1000’s ‘The world’s leading patent professionals 2017’ annual review. Bout Wade Tennant have been honoured with another top tier ranking within WTR 1000’s UK Trade Mark Agency category. We have maintained our tier one status in the Intellectual Property: Patent & Trade Mark Attorneys – UK-wide category. Boult Wade Tennant Partners named in World Intellectual Property Review’s inaugural WIPR Leaders guide. Managing Intellectual Property (MIP) has once again ranked the firms Trade Mark Practice in the top tier of its annual survey. Boult Wade Tennant have once again been awarded Gold in WTR 1000’s 2016 Agencies ranking. 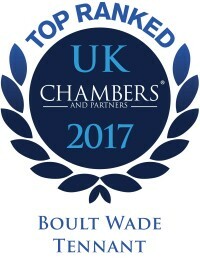 The Chambers UK Guide 2016 has once again named Boult Wade Tennant in the top tier of its Patent and Trade Mark Attorneys table. Managing Intellectual Property (MIP) has ranked the firm’s patent practice in the top tier of its annual survey for the tenth year running. Boult Wade Tennant highly ranked in the new WTR 1000. 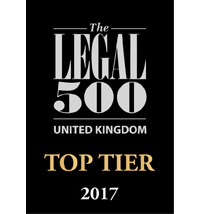 Boult Wade Tennant is delighted to announce the firm has maintained our top tier rankings in leading industry directory: The Legal 500 in both the patent and trade mark categories for the tenth year running. Boult Wade Tennant has continued its strong record in the Patent and Trade Mark fields by, once again, topping this year’s rankings in the prestigious guide Chambers and Partners UK. The global IP resource, Managing Intellectual Property, has released patent rankings this week. Boult Wade Tennant has again been awarded a tier one position for the category: patent prosecution, UK. The Boult Wade Tennant Trade Mark Group has started 2014 on a high with WTR 1000’s recent announcement of this year’s rankings. The Managing Intellectual Property (MIP) World Survey rankings have been recently announced and Boult Wade Tennant is proud to be the only firm in the top tier for both patent and trade mark prosecution for the eighth consecutive year. Boult Wade Tennant has received the UK Trade Mark Prosecution Firm of the Year award 2011 from Managing Intellectual Property (MIP) magazine at its sixth annual Global Awards.